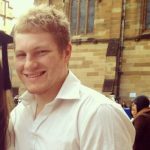 It has been revealed that dozens of brutality complaints had already been received against police officers in Surfers Paradise ‘Team Two’ when they perpetrated an assault upon 22-year old chef Noa Begic in the basement carpark of a Gold Coast police station in January 2012. In 2010, the Police Ethical Standards Command (PESC) found that the Team had developed a reputation within the Queensland Police Service (QPS) for its use of excessive force on members of the public, resulting in a “warning” being issued to senior officers on the Gold Coast. Mr Begic had been arrested for public nuisance and obstructing police on the evening of the 2012 assault, before being conveyed to the police station. CCTV footage shows the young father with his arms handcuffed behind his back whilst lying flat with his face to the concrete floor. A policeman’s knee is in his back. He is then pulled to his feet by several officers, as one of them grabs his hair and bends him forward before delivering a forceful knee to the upper body. The young man is then thrown into the back of the police van face down. One of the officers then holds Begic’s legs together and lifts them up, ensuring he is completely immobilised, before his colleague delivers several forceful punches to the man’s head and neck. Footage later emerged of one of the officers washing Begic’s blood off the carpark floor. 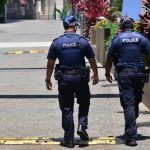 Both charges were later dropped against Begic and the Queensland Police Force (QPS) settled a civil case brought against the assaulting officers. The release of the footage triggered an internal investigation – but only two of the offending officers faced any form of disciplinary action – and none of them were charged with any offence. And rather than being praised for exposing the assault, the officer who allegedly leaked the footage was criminally prosecuted. Sergeant Rick Flori was stood down and charged under section 92A of the Queensland Criminal Code 1899 with ‘misconduct in public office’ for the leak, an offence which carries a maximum penalty of 7 years’ imprisonment. After years of fighting the charge, Mr Flori was found ‘not guilty’ last month in Southport District Court. But the proceedings took an enormous physical, mental and financial toll on Mr Flori and his family. 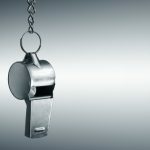 The officer ended up resigning from the QPS and civil proceedings are currently on foot against his former employer for whistleblower reprisal. Meanwhile, a 2010 PESC report has come to light which found that an “inordinately large number of excessive force allegations” had been made against officers in Team Two, resulting in a “medium-level warning” to senior Gold Coast police. Subsequent PESC data reveals that the complaints continued after the assault upon Mr Begic. Team Two is one of many operating out of Surfers Paradise police station, each of which comprises 12 to 15 officers at any given time. Two of the officer shown in the leaked footage were members of this unit. Former senior sergeant David ‘Joacho’ Joachim was the officer in charge at the scene of Mr Begic’s assault. He was a leader of Team Two. Mr Joachim was investigated eight times by the PESC. Six of those investigations related to alleged assaults on people held in custody. Two of those incidents allegedly occurred just weeks after the incident with Mr Begic. They involved allegations that he punched a handcuffed man in the face three times, and struck another handcuffed man while threatening to beat him “to a pulp”. Joachim was also investigated in 2009 for helping security guards cover up an assault, and in 2007 for responding to an excessive force complaint by charging the person who complained with obstructing police. Mr Joachim was the officer who washed away a pool of Mr Begic’s blood. The member of Team Two who is seen delivering a knee to the upper body, and several punches to the head and neck, of Mr Begic is Senior Constable Ben Lamb. Officer Lamb had six previous complaints of excessive force against him in the previous two years. During Mr Flori’s trial, officer Lamb said of the assault “this one I put my hand up to”. Indeed, he had little choice to admit the offence due to the CCTV footage. He called his day in court “a humdinger of a day for me”. Officer Lamb has not been prosecuted for his crime, nor for any other incident. Another member of Team Two who was involved in the Begic incident is Constable Robert Johnson. Johnson was investigated in 2015 for violently choking a teenager and seizing a phone he used to film the brutal arrest of his cousin, Kristian Puru. Johnson received complaints for assault and racial abuse, including an incident whereby the PESC concluded he punched a dark-skinned man in the face and called him a “n***er”. The officer quit the force in February 2017 while under investigation for stealing drugs obtained during a raid, assisting prostitution, illegally accessing the police database 900 times, including to gain contact information to stalk his former partner, and lying to PESC investigators. 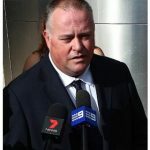 Fitzgerald inquiry whistleblower and former ICAC staffer, Nigel Powell, called the decision to prosecute Sergeant Flori while neglecting to prosecute any of the offending officers a “failure of police leadership”. “Do I want to send a message that if you beat a chained, defenceless prisoner for no reason, you are going to be prosecuted … or do I want to send the message: ‘Do not embarrass us?’,” Mr Powell remarked. Mr Flori explained that, during his time with the QPS, he became frustrated with police officers using excessive force on members of the public with impunity. The officer had years of first-hand experience of police policing themselves – of internal investigations clearing officers in circumstances where there was an abundance of evidence of misconduct, and those who were found to have done the wrong thing receiving nominal punishments. “It would appear to me that the only reason they avoided criminal charges was because of a culture or an attitude on the part of people within the service to protect their own, or to keep things closeted, or to deal with things quietly, without embarrassing”. It seems that this culture will continue unless an independent, sufficiently-funded body with real disciplinary power is introduced to facilitate transparency and accountability.